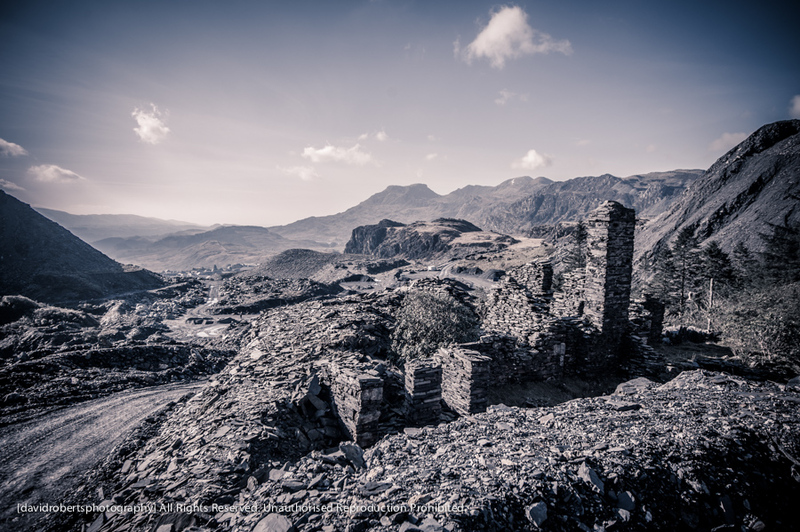 This was the view that the workers at the Maenofferen Slate Quarry at Blaenau Ffestiniog saw every day as they walked wearily home after work. A fabulous view of one of my favourite haunts. Love the processing, too.